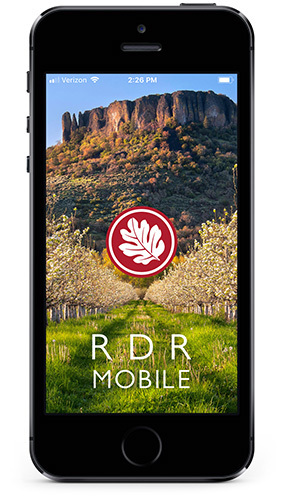 With RDR Mobile, there’s an app for that! Have something you want to dispose of or recycle but you’re not sure how? Forgot it this is red-lid or green-lid recycling week on your street? With Rogue Disposal & Recycling, there’s an app for that! All you need is a smartphone. Simply go to the Apple App Store or the Google Play App Store, search for the “Rogue Disposal Mobile” app and download it — free! Can’t remember if this week is yard debris or household recycling on your street? Easy. Scroll to the address-finder part of the app, type your service address in the space, click “search” and you’ll see the calendar for your address. And remember to have your roll carts curbside by 6:30 am. Anytime you have something to get rid of but you’re not sure how, just type in the name of the item (like corrugated cardboard, glass jars, egg cartons or batteries) and click “search.” It’s that easy. Depending on the item, you’ll learn whether it belongs in the recycling bin, the yard debris bin or the trash … whether there are drop-off options … and any other services or options that may be applicable. 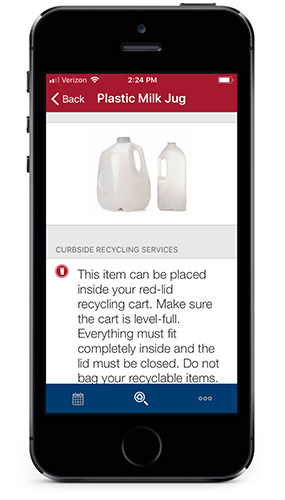 It’s a great way to get all the trash and recycling resources you need, right at your fingertips.